Ahh, the Toronto Festival of Beer. My favourite event of the year! 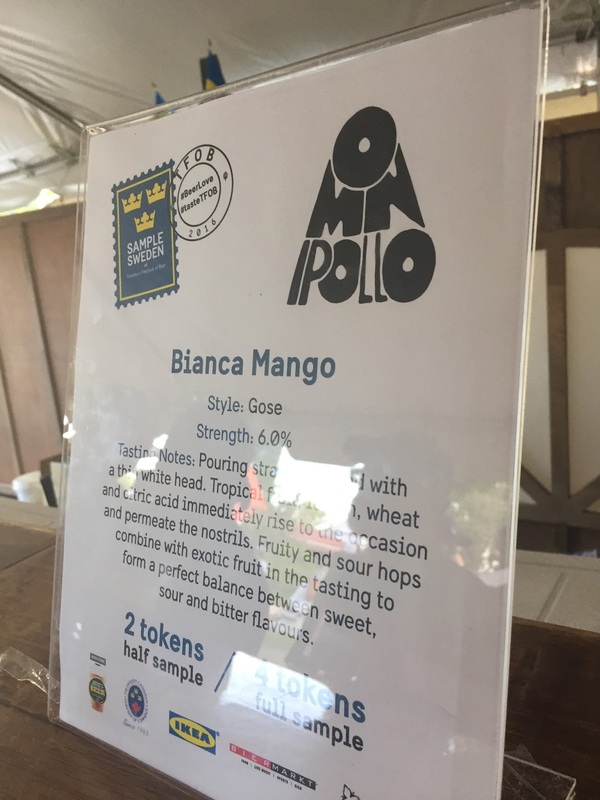 This is the best opportunity to try beers you've never tried before and talk to the brewers behind them. The weather was perfect and the crowd was ready to have a good time. The country featured this year was Sweden. 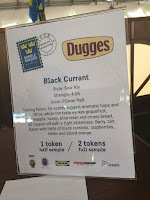 There were many types of beer to try, like IPAs, Stouts and some delightful Gose at the Sample Sweden tent. The festivities were in full swing with live music and Swedish eats from Biermarkt. I tried the Bianco Mango from Omnipollo and Black Current Sour Beer from Dugges. 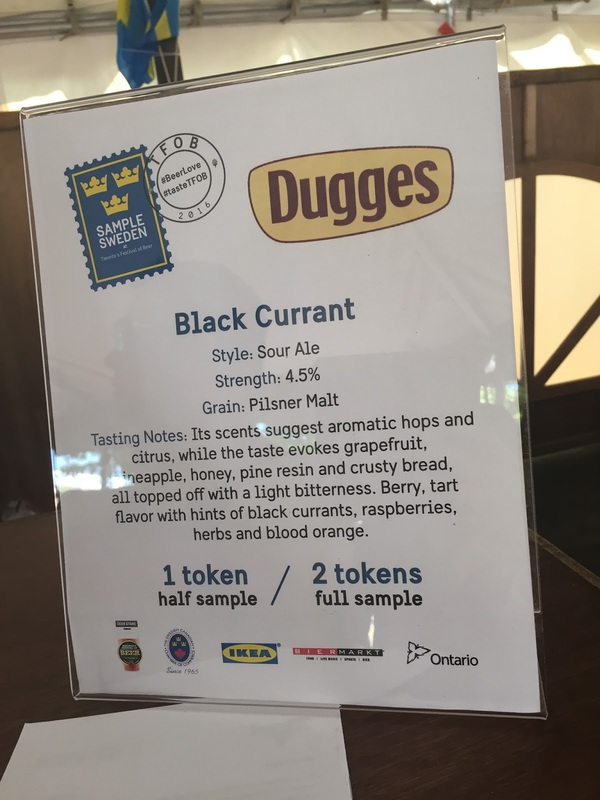 They both had a strong citrus and black current flavours with no aftertaste. There were even sweet treats at the Candy Bar hailing from Brooklin, ON! So good! Many of the usual suspects were there, Beau's, Mill Street, Amsterdam, GLB, etc. There were also some newer brewers that were making big waves in the race to become a new favourite. Old Tomorrow was showcasing their Lagered Ale and Ryed Ales. Light and full of flavour. All or Nothing had their hopfenweisse flowing. An easy drinking brew! Was happy to see Brock Street Brewing there. Good Whitby people brewing some good beer! Luckily, this was the perfect venue for people looking to broaden their beer horizons. There was a vast array of foods to keep your belly full. 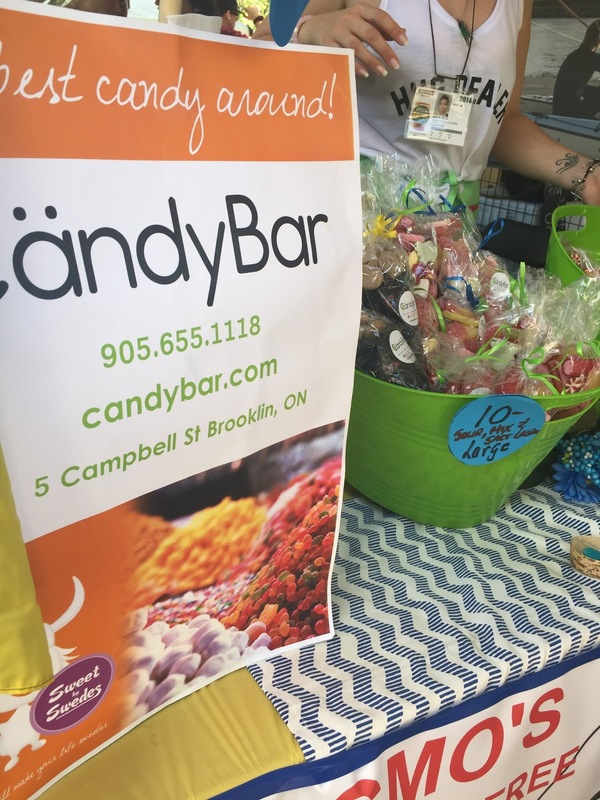 There was everything from donuts to poutine to corn to buns and more! I had some poutine from Smoke's, donuts from Tiny Tom's and pad thai fries from Fidel Gastro's. It was enough to keep me going and give me the energy to enjoy the festival and the hot sun. Speaking of which, there were water stations for you to rehydrate(or rinse beer off of you that an enthusiastic festival goer spilled) all over the grounds. Another great day, another great festival. This is a festival not to miss. Live music, tons of beer and great food, what's not to like?? There was lots of security and police around, but they didn't dampen the spirit, many officers would pose for pictures! A big thanks to them for doing an excellent job!